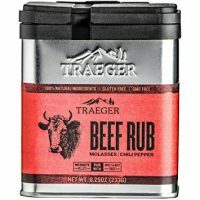 Traeger barbeque brisket is savory, tender and makes the most out of this cut of beef. Serve this up for holidays, bbq’s, or even a weekend dinner for the family. 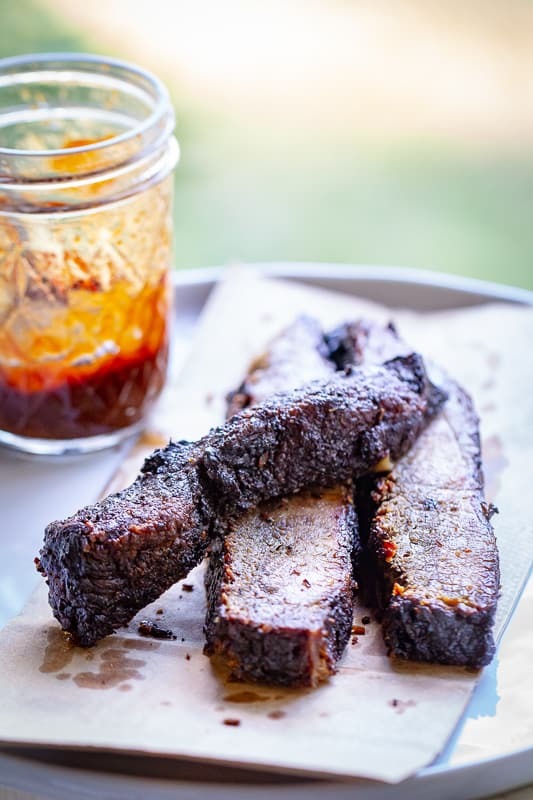 Cooking your smoked brisket on the Traeger helps to infuse the brisket with incredible flavor from the wood smoke and all of the spices and seasonings that you slather on. You won’t need to make a pit stop to your local bbq joint with a recipe like this! Many people are intimidated by brisket, and there are all kinds of tricks you can use to make sure your brisket stays tender and juicy. 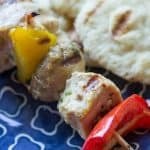 I am always looking for ways to master the grill, but with a straightforward no-fuss approach. If you want to get butcher paper and do the whole wrap, cooler thing – you totally can. I won’t stop you. But also? You probably don’t have to. While slow cooking or oven cooking brisket is a tasty option, nothing compares to a brisket cooked over a live wood-fire. 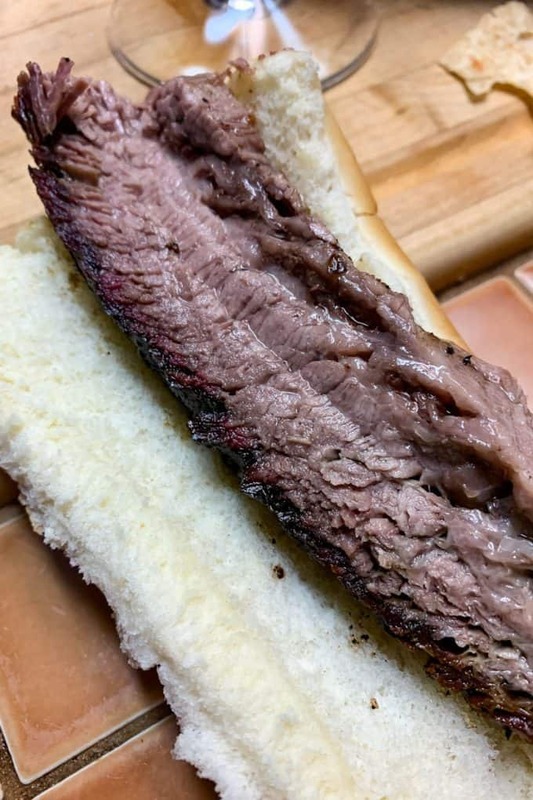 That being said, if you DO decide to wrap your brisket you can just skip the Traeger part of that and finish it in the oven because something that’s covered isn’t getting any smoke, and that’s kind of the whole point. 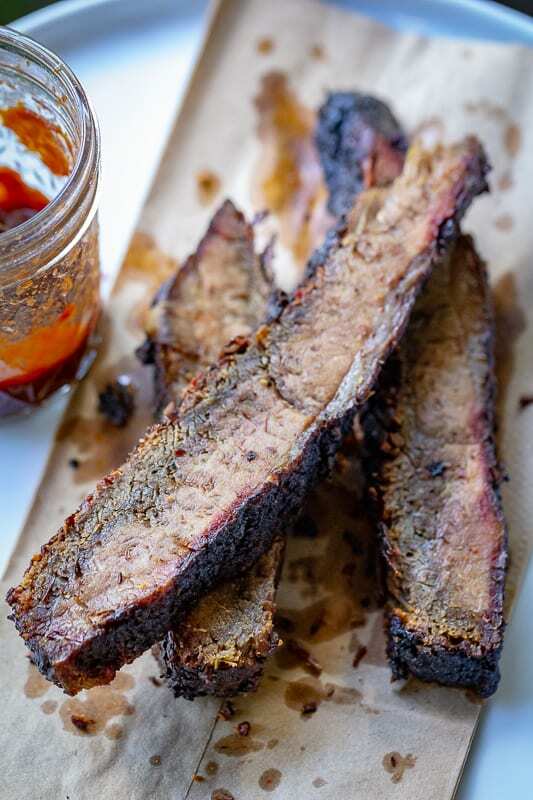 So save your pellets and finish it in the oven for a more cost-effective cook, especially on a huge packer brisket that can take upwards of 12 hours. So by the time this brisket was done, it was dark. So dark, I had to wait to take the photos until the day after. That’s why it looks a bit stiffer than it normally would, had I been able to photograph right off the grill. I DID grab a few pics with my iPhone though, which I’ve included in the post. I’ll be re-shooting at some point, the next time we do a brisket cook, but until then I didn’t want you all to miss out on what was a fabulous recipe. Brisket is well known for being served up fresh off the grill. 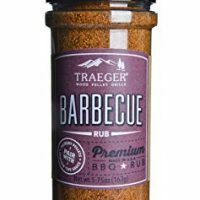 Whether you like it with a simple dry rub or slathered in homemade bbq sauce, both are exceptional. Brisket is a popular cut of meat that is packed full of rich beefy flavor. It is the same cut of meat that’s used to make corned beef. You have to cook brisket low and slow as it is a tougher cut of meat unless it is prepared with care. The connective tissue has to break down for it to be a sliceable and tender. Are Corned Beef and Brisket The Same Thing? While a corned beef starts out as a brisket, it is then brined and cured. If you were to take a corned beef to cook, you would get a totally different flavor as it is packed with spices. When you cook brisket low and slow for a longer period of time, you will then be able to shred your beef. Or if you want to skip shredding grab a knife and cut into slices! 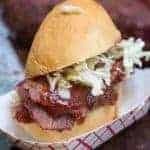 We love slicing brisket and serving up as is or tucked inside buns to make a sandwich. 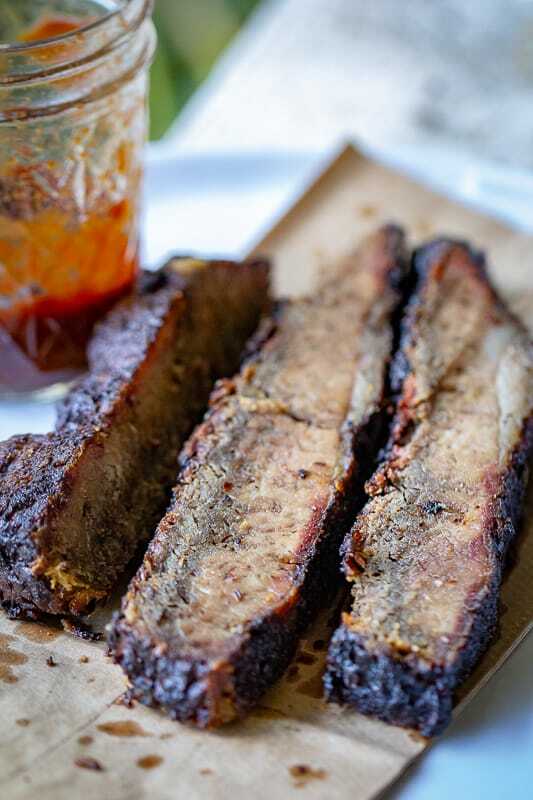 Let’s be honest, sliced, shredded or diced – there truly is no wrong way to eat barbeque brisket! Brisket is versatile so you could pick a handful of sides and make it work. Why Is Brisket Tough Sometimes? Brisket is outstanding when cooked properly. Brisket is tougher and chewier meat to start with compared to other cuts of beef. When you cook it on the Traeger grill you need to cook it low and slow. If you pull the brisket off too soon, it’s gonna be a tough slab of meat. 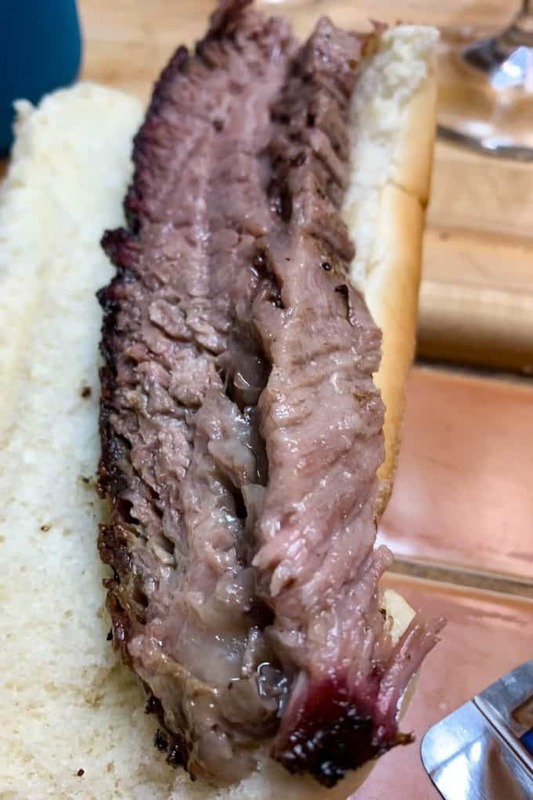 When you go to slice brisket and it’s tough, it means you need to cook it longer so it can break down the connective tissues and become tender and juicy, as you want. 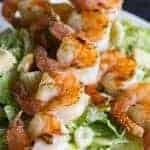 Can I Use This Recipe If I Don’t Own A Traeger? Yes! 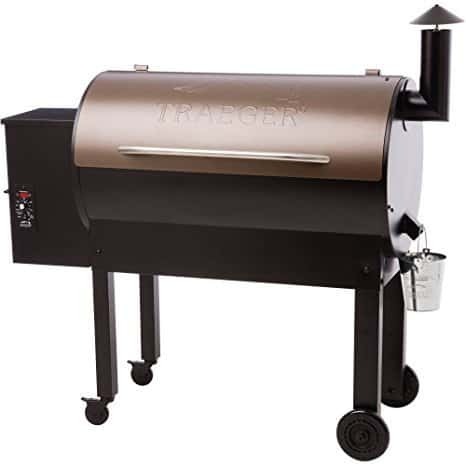 I love our Traeger pellet grill because with a touch of a button and turn of a dial I can adjust the temperature of the grill. 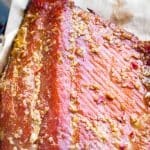 But you can still use whatever kind of grill you have to make this delicious Smoked Brisket. The key is to cook it at a low temp. Around 225° is ideal, and to cook it over indirect heat and with a lot of smoke to flavor things. If those are do-able for you, fire up whatever kind of grill, bbq, pellet-grill, or other smoker and get cooking! 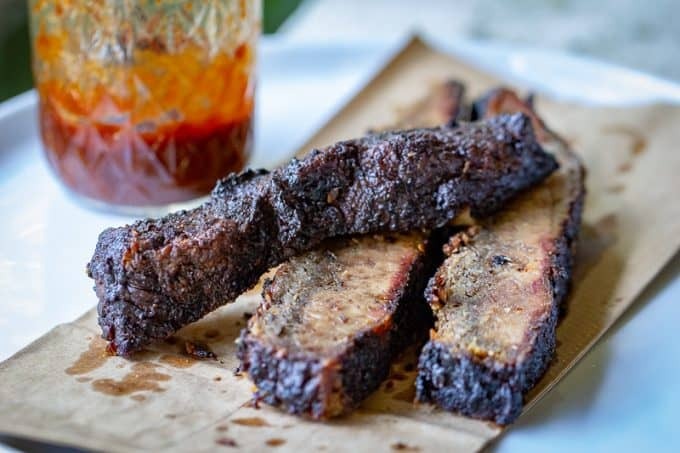 Get creative and use up your leftover brisket in a handful of ways! The Ultimate grilled cheese with brisket and cheese toasted on buttery bread. 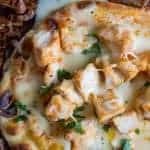 Quesadillas are another fantastic option. 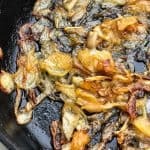 Try my Beef and Mushroom Pockets. You could use a sharp cheddar to make it pop! Create brisket enchiladas instead of used basic roast or hamburger! 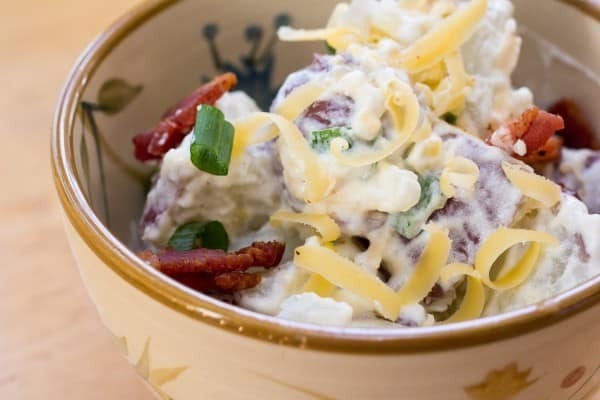 Or skip the variations and warm it up and serve with your favorite sides. 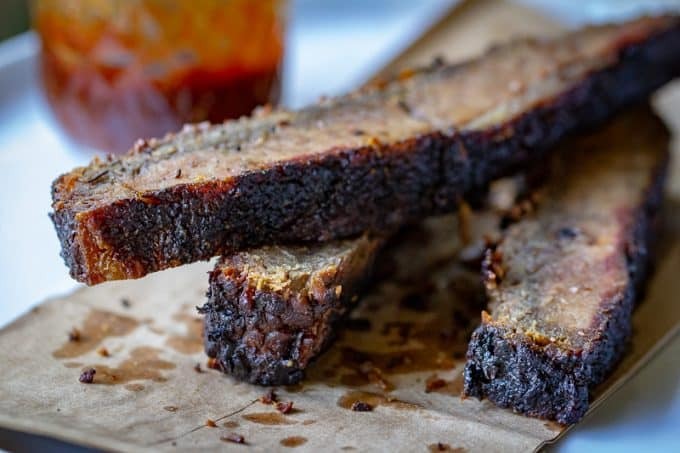 This barbeque brisket reheats like a champ. Same fantastic grilled flavors in every single bite. In fact, I have a WHOLE entire post dedicated to leftover roast beef recipes, and brisket is a perfect piece of leftover beef for this. Can You Freeze Barbeque Brisket? 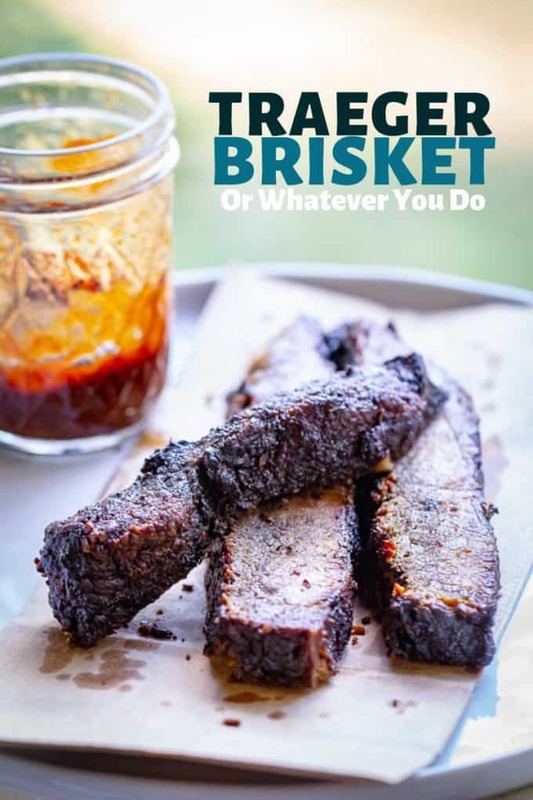 You can freeze any of your barbecue brisket that you don’t plan to eat right away. Use a Foodsaver for vacuum sealing, or a freezer bag. Thaw in the fridge the night before, and reheat in the oven. 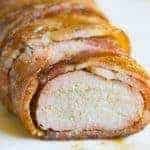 I like to cover mine with aluminum foil in a pan to prevent meat from drying out as it warms through, and toss in some apple cider for good measure. 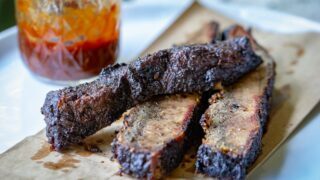 My easy smoked brisket recipe is cooked on a Traeger wood-pellet grill, and is one of the best meals I've ever had. Simple seasonings and attention to detail make for a piece of meat you won't soon forget. 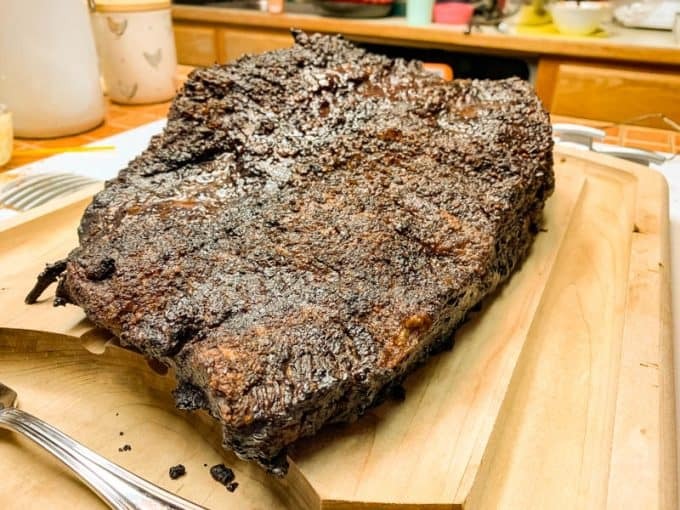 Take your Brisket out of the refrigerator and let sit out at room temperature for 1 - 1 1/2 hours. Preheat your grill to 450°F. If your brisket has not been trimmed by your butcher or meat department where it was purchased, you will need to trim it yourself. Trim the “fat cap” down to 1/4” thick. This will leave enough fat on the brisket to add richness and an extra bit of smokiness. After trimming the fat, coat the brisket with the rub on both sides. Place your brisket directly on the grill surface and let it sear for 10 minutes. Flip it over and sear the other side for another 10 minutes. Turn the grill down to 225° and let cook until it reaches an internal temperature of 204° F. This usually takes between 10-14 hours. Once it reaches temperature, pull from the grill and let it rest for at least thirty minutes. Slice against the grain and eat. Thanks, Jen! 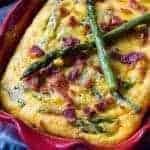 I can’t wait to try that corn casserole it looks amazing!